This list below covers more than 50 of the best professional drone pilot training programs and UAV ground schools available in the world. These courses are designed for people interested in piloting a UAV as a professional and/or running their own drone / UAV service. I’ve also included a few programs that serious racing drone and camera drone operators may want to consider. And, I included comprehensive introductory courses for people new to the industry. The list has two parts: first, I cover online courses (organized by subject), then I list ground training programs (by country). Commercial and professional use of in unmanned aerial vehicles (UAVs), unmanned aerial systems (UASs) and drones (multi rotor and fixed wing) has really taken off in recent months. With aerial photography and mapping invading so many industries today, governments around the world are introducing regulations that govern UAV operation and operators, to keep the public safe. In the United States, for example, the FAA recently introduced Part 107 certification for UAV operators. The UK, Australia and Canada have also come up with new regulations and certifications for remotely piloted aircraft. To keep up with these requirements, it has become essential that amateur and professional drone and UAV operators get the right kind of training. The nature of the training you need depends on what you plan to do with your aircraft. Luckily, a wide variety of UAV/UAS/drone training schools and online courses are springing up all over the world, to help. One thing I discovered when compiling this list is that there are a LOT of training options out there now; so, whatever your skill level and specialization, there is probably something out there for you. There are courses available for beginner pilots; courses to learn specific skills like aerial mapping and industrial inspection; and, courses for people who want to fly drones for fun. There are even courses that teach you how to build your own drone. Another trend I have seen rising for a while is the increasing variety in courses that teach people how to properly plan and shoot aerial photographs and professional video. Given that aerial photography is the biggest application of UAVs today, it makes sense there are plenty of courses for this. Finally, I’ve noticed that industry-specific training courses have really taken off, this year. For example, there are courses that teach commercial drone operators how to safely inspect industrial towers. Another course teaches you how to stitch images together to create topographical, NDVI and other types of industry-specific aerial maps. If you are looking for career change into drone/UAV services, there are plenty of learning opportunities for that, as well. With the proper training, certifications and experience, any drone enthusiast can now pivot into a high-paying career or even create their own drone service business. The list is organized into two main sections: first is a list of online courses. If you prefer in-person training, then jump to the second section, which contains a list of ground training programs. For international courses, jump to the bottom of the list. To learn more about a course, touch or click the name to visit the educator’s website. For the latest availability on a particular course, visit the educator’s website or contact the instructor directly. Please leave your suggestions in the comments, below. 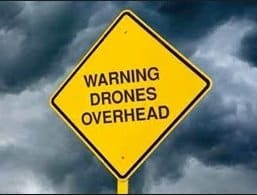 Part 107 of FAA regulations regarding the use of UAS (unmanned aircraft systems) requires drone operators to be proficient in 12 subject areas. This 2-hour course with 14 lectures will help you prepare for the test. The course has basic math as a basic requirement for those planning to undertake it. This course is designed specifically to help drone operators prepare for the new FAA Part 107 certification. Course materials include a vast database of test questions, practice tests and simulations of the real certification test. You can access course materials on your desktop, tablet or smartphone. If you are preparing to take the FAA Part 107 exam, this course will help you prepare for it. It gives you access to a simulated test prep, 300 test questions, a student guide and ability to ask a chief pilot questions. The course is prepared by an expert team and is designed to make you fully ready to pass your Part 107 exam and become a certified UAS pilot. This course prepares you for the FAA Part 107 certification exam. Course materials include thirty video lectures, 5 practice tests to simulate the real exam and real test questions. The course also includes flight proficiency training, which equips you with a drone pilot ground school diploma. “Over 99% of our students pass on their first attempt”. Drew Roberts and Nathan Labruzza in collaboration with aerial cinematography company, Wild Rabbits, provide a captivating introduction to drone filming. You will learn cool camera moves, drone control, shot selection and safety among other lessons. The course comprises 11 videos totaling 44 minutes. Have you ever wanted to tell a beautiful story through drone filming? This is your chance. Through 46 lectures (totaling 4 hours) he shows you how to tell stories through aerial filming. The course includes lessons on proper flying, shot taking and film production. The South African-born but Canada-raised video and photography guru provides an in-depth look at GoPro filming whether in the air, on land or in the ocean. Made up of 20 videos, the 53-minute course begins with the basics of GoPro filming and slowly expands into some of the creative ways you can use a GoPro camera. Over the course of 12 hours and 80 lectures, you will become a master of shooting videos with a drone, safety and editing your great videos. 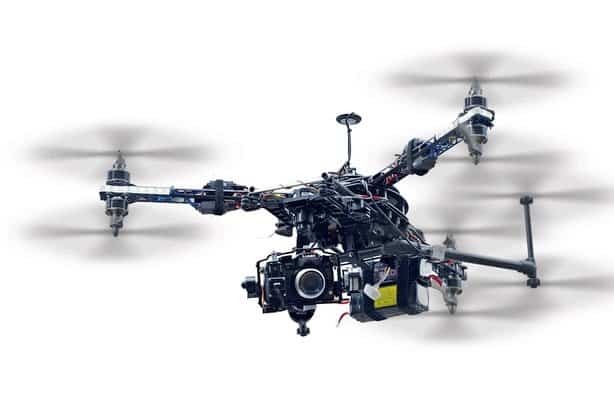 Most importantly, the course guides you on how to start an aerial filming business. The DJI Phantom 3 Professional is one of the most powerful drones for aerial work. But it can be tough to handle and use safely. This course, consisting of 8 videos totaling 44 minutes, will guide you through the overview and basics of using the Phantom 3 Professional. If you are just starting out on aerial photography and videography, this is one of the best courses. Over the course of 54 lectures and 2 hours he teaches things like choosing the right drone, customizing your drone and capturing amazing aerial shots. Over 21 lecturers totaling up to 4 hours, you will learn master-level flying, filming and editing skills to turn you into a drone filming pro. The course uses a DJI Phantom as the main learning tool. At the end, you will be able to capture stunning cinematic footage and panoramas, edit them and create aerial 3D models. This course (77 lectures over 6 hours) combined stunning drone footage with important lessons on areas like video shooting, aerial photography, editing and the legal issues surrounding drone usage. This course is for anyone who wants to seriously get into videography and photography using a drone. You will be a master by the end of the course. The post-production editing process is just as important as the shooting. Learning how to edit your creations can help you produce amazing projects and save money you would have spent hiring a professional editor. This course teaches you everything you need to know from adding music to correcting color and choosing the right drone. Don’t just fly your drone around taking average shots. This 40-minute online course gets you on the journey to being a master aerial photographer. Lessons include drone angling to get the best shot, proper camera settings, how to work with the weather and a handy checklist every aerial photographer should keep handy. Unmanned Thermal imaging is an area that has grown in importance to energy, infrastructure and communication industries. Thermal imaging drones are used to perform safety and maintenance checks in places humans would typically not go. If you want to make money doing thermal imaging for companies, this course is a good place to start. If you are interested in the applications of UAVs in enhancing agriculture, this course is for you. It will introduce you to hardware and software requirements, flight planning and software processing. It includes 1.5 hours of lectures spanned over 23 videos. If you are involved in 3D mapping projects whether in engineering, urban planning or law enforcement, this course will be hugely beneficial. It shows you how to achieve speedy, effective and affordable 3D mapping using drones. Over 17 lectures, the instructor will introduce you to hardware and software requirements, show you how to take measurements and open your eyes to many other 3D mapping applications of drones. If you have ever thought about making money from your skills, this is a great place to start. The course teaches you how to use your drone for mapping and 3D modeling. You will be introduced to all the hardware and software requirements as well as the important techniques for capturing data and transforming it into maps and models. The course will teach youLearn everything you need to know to start your UAS / drone service business – the business laws surrounding UAS companies, how to properly insure your business and how to market your UAS business. These seminars are great for any drone operator considering making money from their craft. They equip you to successfully handle the business side of operating a drone service business. If you are looking to get into UAS, this is one of the best courses to get you going. It is compact and fast paced yet comprehensive, covering a total of 19 modules. It begins with the basics of UAS classifications and command and control operations. It then delves into deeper topics such as human factors, payload options and UAS maintenance. There are a number of case studies and an intensive quiz at the end that lead to certification. The price quoted above gives you lifetime membership to Cine Chopper University. You will get access to more than 30 hours of lectures, a course to prepare you for Part 107 certification, access to a community of drone flyers and mentorship from a pro. This is one comprehensive program to teach you everything about using a drone, taking pictures, shooting footage, editing and business training. Another comprehensive program for those aspiring to be expert and certified drone operators. For $47 a month, you get access to various courses to help you advance your skills. You also get access to webinars, Q and As, expert interviews and an exclusive community. The program will not only make you a UAV expert, it will also guide you on how to turn your skills into a healthy income. While many online drone courses are targeted toward those who want to become professional drone operators, this one is designed specifically for hobbyist flyers. You will learn all the important FAA rules, the different components of a drone and safety. If you have no interest in becoming a UAS professional but just want to fly drones for fun, this is for you. For those who want to get into UAS but have no prior aviation experience, this introductory course is highly recommended. It introduces you into basic aviation knowledge, expound on various topics like navigation systems, GPS, aerodynamics, radio communications and weather effects. The 7-lecture course will prepare you to undertake full training in drone operations and control. This is the perfect course for someone with no background in drones. Even if you have a bit of experience, a deeper understanding of different parts of a drone and how they work will prove beneficial. The videos are easy to understand and there are clear instructions on what you need to buy and where to get them. This is a full UAV training course comprising various subject areas starting with the basics and then the intermediate and advanced lessons. Whether you have just gotten into drone flying or you have been doing it for some time, this course is great. The course is completely self-paced with plenty of video and audio materials to help you along. After 21 lectures (1 hour total), you will become a master at flying DJI drones and using them for all sorts of aerial applications. This is a beginner course for people who have just started flying drones or are planning to start soon. Thus, the lessons start with the very basics. You will need to own a DJI Phantom or Inspire to follow the lessons. This is an introductory course for leaners that have no background in drones or aviation. You will be taught how to build your own radio-controlled drone and through the process, understand the various parts of a drone and how they work. The course is self-paced course with 26 lectures totaling 2 hours. Expect to spend around $250 on required parts. Challenge yourself and put together a racing drone using this course. With a few tools, some bits and pieces you can get at an affordable cost and plenty of patience, you will be suprised at what you can construct. There are 47 (2.5 hours) easy to follow videos with instructions on everything you need to get going. This is a UK-based online course to prepare learners for the UK Commercial Operations accreditation. The 8-module course introduces students to subjects like aircraft regulations, radio communication and safety among others. You do not need any prerequisite qualification and successful completion is rewarded with a certificate. It also sets you up for entry into the next 3iC qualification course. This program consists of three phases. The first phase is the theory part and is web-based. It introduces the basics of UAV piloting. The second phase involves working with a UAV simulation to give you a feel of what reality is like. In the final phase, you are scheduled for a 2-day in-person training program at one of the many flight training centers they have in the US. This beginner course stretches over 2 days and covers six units. The course is meant to introduce learners to the world of drones and teach them to fly a DJI Phantom 3 or 4. At the end of the course, you are allowed to take home the drone of your choice and you will also take an FAA ground exam that prepares you for job placement. This program begins with an online course that introduces learners to FAA rules and provides the basics of using a DJI Inspire or Phantom. You then choose a location near you where you will receive in-person flight training. There are also training programs ($580) and UAS certification programs ($1,460-$7,500). Operating a UAV from a moving vehicle may be at times necessary to increase coverage area, provide weather protection and provide safety. This course prepares professionals on how to operate a UAV from a moving vehicle while maintaining operation quality and safety. The course is targeted towards industries like mapping, search and rescue, survey and engineering. The 3-unit course taught over the course of one day transforms you from an ordinary UAV flier to a master at taking breathtaking shots from the sky. You will be able to practice numerous techniques and moves and get immediate feedback from instructors. This is a customized program designed for the needs of a specific client be it the fire department, SWAT team, police or emergency rescue services. The program covers everything from safety and insurance need, federal and local codes regarding UAVs, buying and maintaining drones and consultation on legal issues. Infrared UAV operations are necessary in various fields including security, search and rescue, equipment inspection and emergency services. The program teaches everything you need to know about conducting UAV flights in twilight or completely dark operations while still maintaining safety. The one-day curse involves three units teaching learners how to fly a drone and collect meaningful data that can be used in mapping. Lessons include flight planning, safety, altitude control and camera settings. This course can help you launch your own UAV mapping services for agriculture, land surveying and more. This intensive 5-day course is offered on-location in Denver, Colorado. It combines a range of lessons including indoor flight training, outdoor flight training, aerial data collection and post data processing. Suitable as a first course for operators in many different industries including: inspection, mining operation, geological mapping, aerial photography, agriculture, real estate, surveys, construction, utilities, pipeline, telecomm, railroads, maritime, news media, farming, ranching, forestry, land management and more. Visit their website to see the training calendar for 2016 and 2017. This program is completed in three stages. The first two stages are completed at home. The first one covers the basic theoretical part of drone training while the second involves the use of a drone simulator. The third phase involves 2-day in-person training at one of the various flying centers around the country. Primary location is in San Diego, CA. This 4-day course is the first industrial tower drone inspection program to be provided in the US. Learners will be equipped with the knowledge and skills the need to conduct surveillance and maintenance checks on industrial towers with effectiveness and safety as priorities. Contact the website to find out the location of their next training. This is an inclusive class covering the introduction, beginner and advanced levels of UAV operations. The course will not only teach you how to handle and fly a drone, you will also learn how to start a business using the skills you have learnt. Contact the website to find out locations for the next training. They can also come to your city for additional charges. 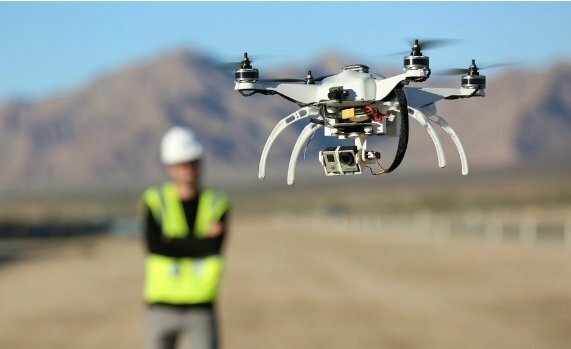 US Drone Training also offers a unique $25,000 “start a business with us” program for drone operators who want to create a new drone service for themselves. This is an intensive 5-day training course designed for flyers who want to fly drones commercially. The course will prepare you for a UAV Controller Certificate (ReOC) or a Remote Pilot License (RePL). The program includes both theoretical and practical flight training. Lessons are conducted across various cities in Australia. Visit the website to see the schedule for upcoming months. The five-day course equips learners with an RPAS license and prepares them for commercial UAV operations. Training is done with both fixed wing and multi rotor drone systems. Visit the website to find future training dates and locations. CASA (Civil Aviation Safety Authority), requires drone operators to receive UAV manufacturers training. This 2-3 hour course will take you through a CASA approved syllabus plus additional lessons on landing and takeoff and safety when flying. At the end of the course, each learner is awarded a certificate. This is strictly a flight training session with no theory involved at all. It is aimed at helping drone fliers get additional flying skills. The session lasts one hour. Contact the company to find out the exact location of the training. Additional costs apply if you are more than one. This 1-hour session is designed specifically for drone fliers who want to boost their skills in professional UAV operations. Whether your field is photography, videography, mapping, surveillance or inspection, this course will equip you with the basics of professional drone flying. Contact the company for the specific location of the training. This CASA required training focuses on UAV systems that are below 7KG. The course uses several drone models including DJI Phantom 2 Vision and DJI Inspire 1. In addition to a standard CASA curriculum, you will be taught the basics of landing and takeoff as well as in-flight safety. Getting a Radio Operator Certificate of Proficiency is a mandatory step in getting UAV certification. The course takes several hours and will introduce you to the basics and requirements of radio operations and communications as a UAV operator. This course teaches you everything you need for UAQ certification. The course includes an online session, in-person learning with test, practical flight training, manual development and ongoing support. If you already have a PPL license or you know how to use a drone and just need the certification, lower prices are available. The course is offered in several cities across the UK. The Civil Aviation Authority (CAA) requires operators of commercial drones to have the requisite training and certification. This course provides exactly that. It is perfect for those planning to carry out survey, mapping, inspection or any other commercial work. Perfect for beginners, this course will get you started on the road to drone flying. It begins with the fundamentals of UAV flight and equips you with important techniques and maneuvers to boost your flying confidence. Even experienced flyers can take advantage of this course to add to their skills and obtain UAQ certification. This CAA-approved course offers training to drone operators who wish to get into commercial operations, whether for themselves or as contractors to clients. The two-phase course is held on different dates around various locations in the UK. See the website for the schedule. If you are involved in search and rescue operations, this course will equip you with additional skills to boost safety and save lives. It begins with a 3-hour basic awareness session, then 1/2 day to 1 day observer understanding session and a 1-hour introduction to flying. It also includes simulation and 2-day ground school. This course takes place in a specialized UAV training center in South-East Spain. The 5-day course introduces comprehensive lessons on safety, maneuvers, control, regulations and maintenance. This course is designed for both commercial and hobbyist UAV operators. The program introduces learners to different categories of UAVs, current regulations regarding the use of drones and important techniques of flying a drone. You will receive a certificate of completion at the end of the 3-day course.